Absolutely. They are about $75. Ask your shop to do it while the car is still there. My guess is they would charge you an hour labor. Two at the most. You can DIY, but it is high on the pita factor for your first diy. Impressive list of no-problemos cars, but note the highest mileage is 54k can anyone beat that? Or is 60,000 the threshold we need to get our speedometer cables ready? 141000KMs/88000ish miles on my 97. I have had a few CELs in my 5 years of ownership, none relating to SAI. No SAI in my '98 at 54,000 but I replaced the valve at about 40,000 7 years ago. was this a parade AX?? My CEL went on for the first time at about 103k miles. Bought a durametric to reset it, usually every couple of months or so. Finally got tired of the intermittent CEL and had the heads, valves and guides done by Steve Weiner at about 123k miles. His comment: "Man, those are REALLY plugged up". No SAI codes with 45K on my 96 C4. Had the valve replaced around 40K miles, and I diligently change the oil. Only CELs have been for misfires which I traced back to bad belts. Gets a periodic Italian tune-up, which I hope keeps things clear. No CEL on my 25 K miler, changed the valve a couple of thousand miles ago, preemtively. I have 120000 miles on a 96 c2. I don't many records, but there is no indication that I ever had a Sai problem. I bought the car because it fit my budget. It had an intermittent cel. Turns out after spark plug wires and some dielectric grease my misfire went away. 87K miles on the clock here, replaced my SAI as part of the 60K service. No CEL related to SAI ever. pay for a SAI bypass and never worry about it again. Forty-five thousand miles, so far so good. Pre-emptive passage scrub while the engine was out for another reason - they were clear. New check valve too. I did a poll on here a few years ago and I recall it was only 25% of folks had ever had a problem. Mine was completely rusted out when I bought my car 5 years ago, with about 45k miles on it. I removed the whole system. Whether the SAI passages become plugged is almost entirely dependent on the health of your valve guides. Many, if not most, 993's had poor guide/stem fitment from the factory. You can put a new check valve in every week and it won't matter so long as your engine is burning oil and the burned oil deposits clog up the SAI passages. Keep tabs on how much oil your car burns -- that will tell you almost everything. 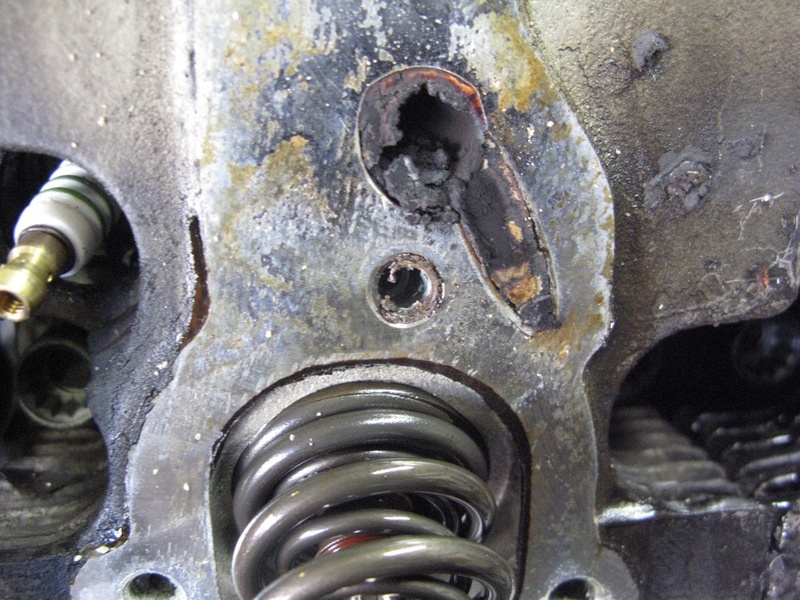 ^ Nope, SAI port is upstream of valve guides, impossible for oil from valve guide leakage to end up in SAI ports. This above is an old wive's tale, or some tale passed down from other makes of engines. A leaking check valve can allow combustion gasses to back flow up through the SAI passages. Of course this is just my opinion based on an engineering degree and 25 years of working on internal combustion engines of all types and sizes. Not necessarily Porsche engines, but at least one.